Forex Magnates has learned that Cypriot broker, IronFX has agreed to pay nearly three million euros for a sponsorship deal with the Spanish football club, FC Barcelona, so that the broker can use the club’s and players’ images in its advertises anywhere in the world, other than in Spain. Sports club sponsorships are usually a very expensive deal and thus serve as a way for companies to show potential clients that they are well established in their markets and must earn enough in order to spend on such arrangements. 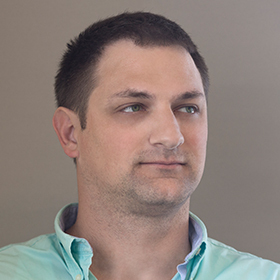 However, such very high costs are hard to explain when the primary focus of advertisers in the FX industry right now is to lower the costs of client acquisition via targeted online campaigns and signing on successful Introducing Brokers. 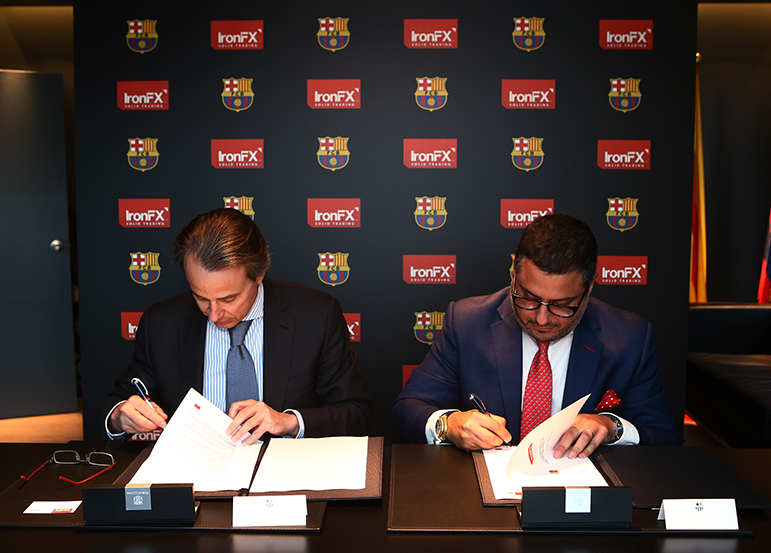 Being associated with a worldwide respected image such as that of FC Barcelona can definitely be a major boost to any brand, but only time will tell if such a mass marketing approach would ever actually be beneficial enough to cover the costs and not just become a net loss for IronFX. Other examples for FX brokerages that sponsor sports team are, Alpari which signed a 3-year deal with West Ham United in 2011, GAIN Capital’s sponsorship of Manchester City, and FXTCR partnership with Galatasaray Sports Club to Launch GS Forex. Notable examples besides football are Saxo Bank and FxPro that sponsor Formula 1 car racing teams. Forex Magnates reviewed the practice of sport’s sponsorships last year. how does one measure the success of these types of advertising? WELL DONE IRONFX .. ONE STEP TOWARD THE RIGHT DIRECTION. @Denis why? unlike binary options, this is purely a gaming product, it’s not trying to hide itself as a financial trading product. @Denis – looks like TRADOLOGIC is on the right track with this…. I think that ads are one thing and the typical Linkedin groups aggressive posting and commenting is another – I tend to ignore the latter and that is the reason why I left almost all the groups I was in. He did share some stats, which I can’t disclose, and they are quite impressive otherwise I wouldn’t have written about Linkedin at all. What a great deal! What a great club to be linked to and really this seems a small price compared to a straight up shirt sponsor deal. they both have one thing in common. impending bankruptcy! @MC: Very interesting and deep analysis! Thank you. 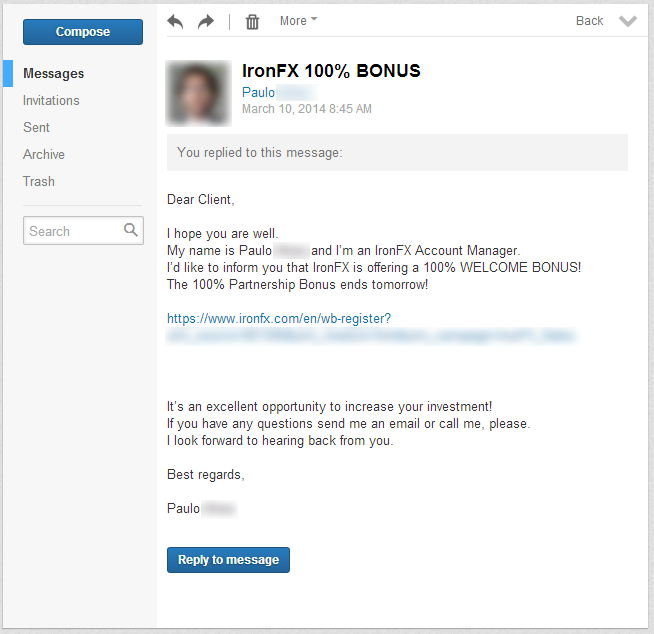 I would take IronFX a lot more seriously if it clamped down on their employees continually spamming every FX related group on linkedin with their promotional garbage. Smacks of desperation and a high pressure sales environment. @ Chooks: I couldn’t agree with you more. Everyone should note that I am NOT this persons client, yet the email says “Dear Client” (lazy copy/paste job). Also, this is direct solicitation of business from the company itself so there should be a risk warning in this message at the very least. Hey! CySEC! Shorten the leash on this one please. Something tells me that bookmakers would give out odds of 1.01 that the above comment came from an employee. Strong and stable is apparently a byword for spam and direct solicit in certain circles. Looking at the above i would say that Bookmakers wouldn’t even dare to bet 1.01 on the fact that the adverse comments are coming from employees of competitors, driven by jealousy, incompetence, inability to accept that someone is better than them. Rather than attacking someone that managed to achieve so much in so little time aiming to bring him down your levels, would be wiser to become incentivized by their achievements and try following their example. @George K: Really George? 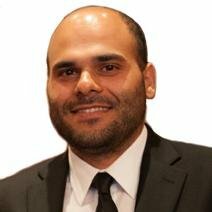 I guess you must have some unique insight and excellent knowledge of the industry to be able to so objectively judge “how much IronFX has achieved” in such a short time. Do you care to share with us any of your arguments on the actual achievements that you are referring to? Maybe back them up with some facts? And don’t presume to know who is on commenting on this forum. @ George K: I challenge you to show proof (right here on this page) of your statement “managed to achieve so much in so little time”. 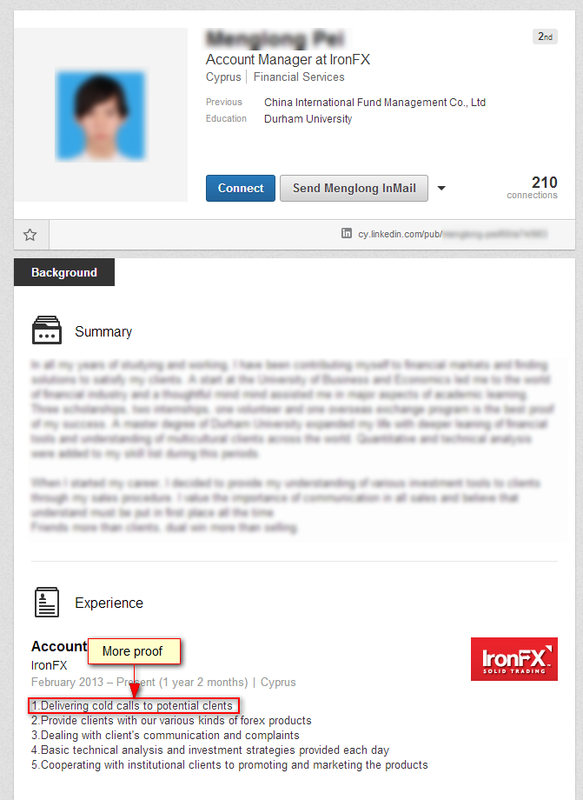 And since we are on the topic of proof…here is some proof to backup Chook’s comments about IronFx “self promote and spam continually on any forum/discussion board”. This is just what I found in 5 minutes on the web. @ George K: Your move. Taken from ‘EuropeanCEO’s article on IronFx. From the brilliant mind of their CEO. That’s what the “industry” did … it’s a good thing that IronFX is here now to save the industry from such stupid practices. I guess “practice what you preach” is not a concept they are familiar with.